Get inspired with over 100 Facebook marketing ideas for REALTORS®. It’s true that Facebook marketing is a tool you cannot afford to ignore – read Top 11 Reasons to have a Facebook Business Page. With over 1.3 billion users (800 million are mobile-only) you likely already use Facebook; according to a 2013-14 REALTOR® Technology Survey report 77% of REALTORS® have a Facebook page which you can only imagined has grown increasingly since then. It’s easy to get started with a Facebook business page, the tricky (and necessary!) part is creating new real estate Facebook posting ideas daily to increase your audience and drive traffic to your website. We’ve put together a list of creative Facebook posts ideas from real estate agents that will get you thinking outside the box! Consider your audience – homebuyers and sellers love topics like design tips, home ideas, current news, real estate tips, etc. These may seem like fluff when your goal is sharing listings, so think of it like staging a house – you can captivate interest by presenting more than just the cold facts. 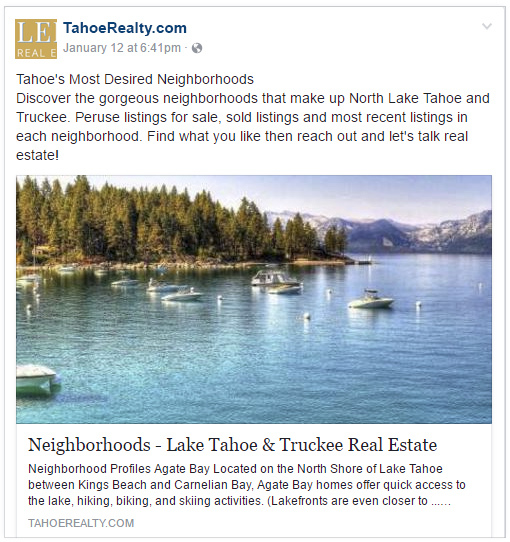 These Facebook marketing ideas for REALTORS® will get you started, and with over 100 Facebook real estate post ideas to try, you should have no shortage of content to share! Attract buyers with unique ideas that will get traffic to your site and take advantage of your IDX solution. The different features your IDX provides like New Listing Email Notifications, recent homes sold, recent homes listed, and posting a price range of homes etc. will lure visitors over to your informative real estate website. Here are some creative ways to attract buyers. 1. Integrate your MLS search (IDX solution) on your Facebook account. This drives traffic to your website when they click on a listing profile – win, win! View our short instructional video on How to Add IDX to Facebook. 10. Share articles about renters – when should they buy? 12. Post advice on what NOT to buy or do! Some of the ideas encourage you to seek out great articles to post from resources like HGTV, DIY Network or news resources like Huffington Post. See which articles get the most Likes or Shares to know which ones resonate the most with readers. O better yet, create your own informative blog articles to promote and drive traffic to your website. Take a look at our article on Real Estate Blog Ideas – Your Resource Guide or specifically Real Estate Blog Ideas – Think Sellers to get those creative writing juices flowing. 27. Share articles on “buyer” psychology and what hurts/helps? On Facebook you can keep it “all business” or sprinkle in some personal touches that make people connect with you on another level. Of course this is all up to you. This is a great way to keep people informed and help promote local businesses and organizations. Show your pride in your community and people will consider you a great source for local happenings. Check the local newspaper/online publication for news articles to share and current events. Real estate videos are a great way to market yourself, your brand, your company, and really connect with people. From hiring a professional company to doing your own Facebook Live-Streaming video, you have plenty of ways to deliver video that transcends over the internet. Real estate humor is a great way to connect with people who also like to Share what’s funny with family and friends. Who knows, people might just remember you for all the chuckles and laughs you deliver. 62. LighterSide of Real Estate full of cartoons, DIY Failures, funny videos etc. This can be a treasure trove of great, almost endless ideas and most active Facebook users are already doing many of these ideas. If you are fairly new to Facebook and just gearing up, here are a few ideas to get you going in the right direction. Asking great questions is a sure fire way to start a dialogue with your Facebook fans who might be looking for a challenge or just enjoy adding to the conversation. Ask trivia questions, opinion questions, true or false questions and get people involved. Here are a few ideas to get you started on the right track. 72. What are the best places to take the kids? 73. What are the best places to take your dog? 74. What is the best neighborhood to trick or treat? 75. What’s your top three favorite (town) restaurants? 76. What’s your favorite top three favorite neighborhoods? 77. What’s your favorite way to “upgrade” your home? Do some research and you will find a lot of services ready to help – here are a few that might make the cut for your needs. 88. Share popular posts from Orchard Supply, Lowes, Home Depot etc. 100. Share dream houses i.e. in Hawaii, luxury homes, waterfront homes etc. 102. Share a list of the oldest buildings in the U.S.
As you ponder over this list and realize it’s not that hard to come up with good ideas, consider these tips as well. No one said you can’t post an article once. Take some of your most popular posts and recycle them over the coming months, staggering them out well enough most people won’t notice. Take note on topics that get attention and see if you can create similar topics for even more interaction. The key is to get people to remember you and also get them to your website! Always give them a reasons to visit your real estate website. Ideally, get them to sign up for some form of drip marketing like New Listing Notifications (IDX solution), MarketBoost market reports or your marketing newsletter. In the market for a powerful new website? Of course, what good are well-managed social media accounts like Facebook, if there is no cutting edge real estate site to send your visitors to? 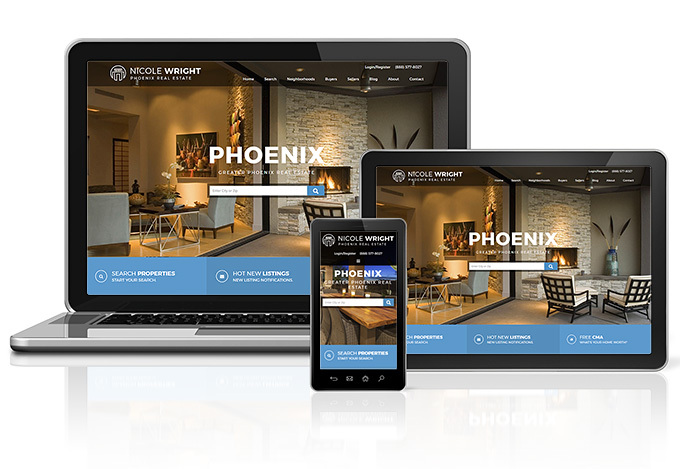 If you’re in the market for your own real estate site, or ready to upgrade to a mobile responsive website, then give us a call! We have been in business over 20 years and specialize in real estate website design along with IDX solution sales and integration. Fantastic article! Thank you for sharing such valuable information! Thanks Tracey. We hope it makes a difference in how REALTORS look at using Facebook in new ways to reach more people.